It's a party in a bowl! With all of the parties you’ll be attending this season, you’re going to want a go-to dish to bring that’s easy to prepare and, of course, delicious. This recipe featuring everyone’s favorite snack food — Doritos — is the answer to your prayers. 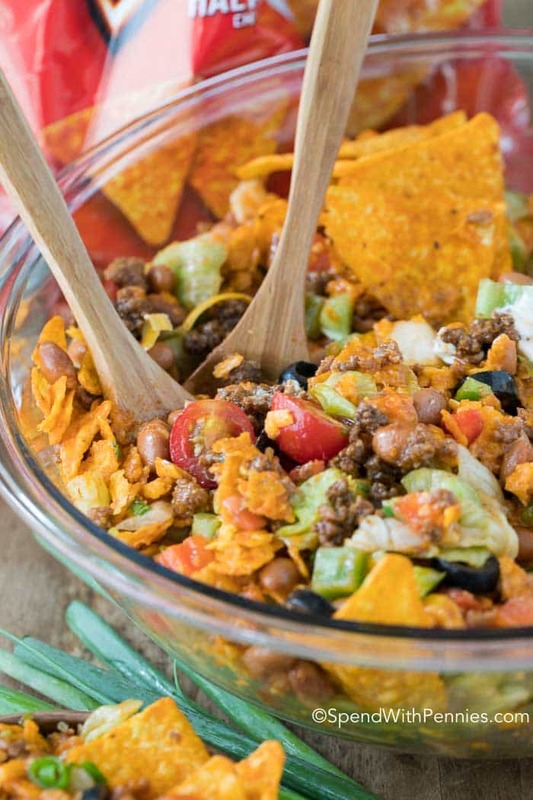 Not only is a Dorito taco salad a great-tasting take on taco salad, but it’s easy to make with ingredients you’ve already got in the pantry. There are many variations of this recipe, but the one from Spend With Pennies is as classic as it comes. Simply combine your favorite taco fixings — including ground beef, pinto beans, romaine lettuce, bell peppers and more — into a giant salad. 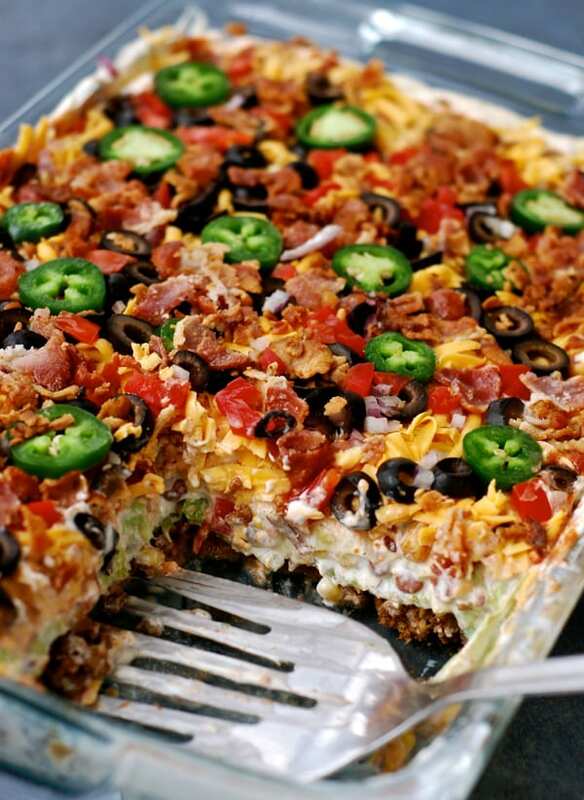 The recipe suggests layering the ingredients to help it store well overnight. Perhaps one of the best parts about this recipe is how easy it is to customize. You can feel free to add in whatever ingredients your guests will love: fresh cilantro, guacamole, jalapeños — you name it. This recipe from A Spicy Perspective uses avocado, scallions and a homemade Catalina dressing to really make the salad stand out. 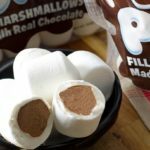 You can also let your guests customize this recipe for themselves! Instead of mixing everything together in a salad form, have all of the lettuce and toppings in separate containers. Set out individual bags of snack-sized Doritos (or even Fritos), and then let your guests serve themselves. 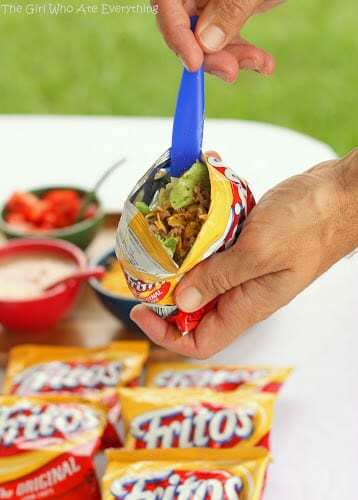 The recipe from The Girl Who Ate Everything calls this Walking Tacos, given their ability to be eaten straight from the bag. 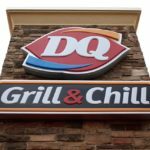 Another option to make this potluck hit even easier to serve? Layer it into a cake pan, as the blogger behind Chin Deep has done. This way, the salad’s more like a casserole and can be easily scooped onto plates. This version uses tortilla chips as the topping, so you can go that route or switch to Doritos. 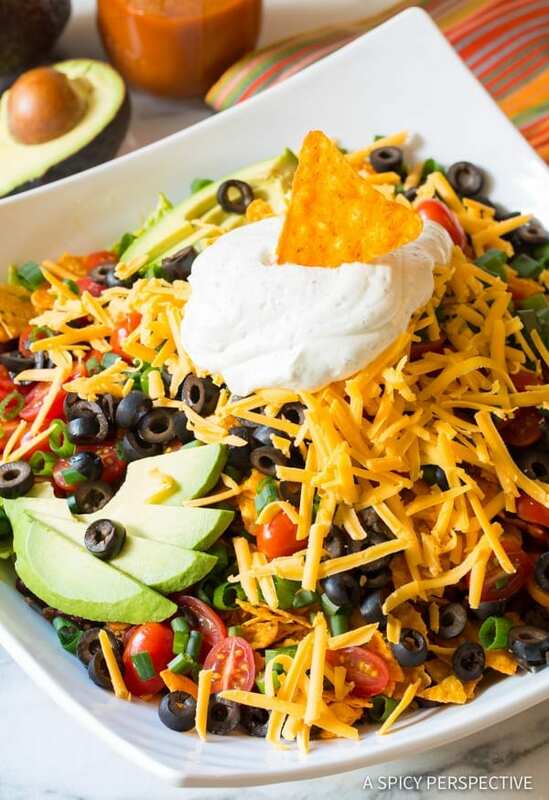 No matter what serving method you choose, the Dorito taco salad is sure to impress your guests. So, bring on potluck season — you’ll be ready!